ASSOCIATION FOR PEOPLES ACTION is located in VARANASI Uttar Pradesh . ASSOCIATION FOR PEOPLES ACTION is registered as a Society at VARANASI of state Uttar Pradesh with Ngo unique registration ID 'UP/2009/0021625' . 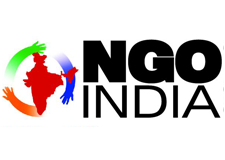 The NGO registration is done by Registrar of Societies with registration number 14624 on the date of 21-10-1992, Its parent ORganaisation is ASSOCIATION FOR PEOPLES ACTION. The Chairman of ASSOCIATION FOR PEOPLES ACTION is Dr RAGHU NATH PRASAD and Chief functionary officer is AMARESH. Promoters are URMILA VERMA, RAZIA KAZMI, OM PRAKASH,JYOTI MAURYA. ASSOCIATION FOR PEOPLES ACTION Association for Peoples Action (APA) is a voluntary organization registered under Society Registration Act 1860 in 1992.Constantly active right from its formation, this organization has always been working through its programmes and activities for creating a social order based on human values of equality liberty and justice. At present we are working with education, women empowerment child rights and health issues in 8 blocks & 3 towns of Varanasi Jaunpur and Chandauli at grassroots level. Association for Peoples Action believes that potential grass-root initiative is essential for the success of such efforts and should be encouraged and strengthened. To this end the organization is providing technical and promotional support to grass-root community based organization Panchayts volunteers and women groups. In addition to undertaking promotional support it has initiated to self help groups for the parents of child labourer in rural areas for upliftment and in search of employment opportunities. The organization has initiated to form self help group for parents of child labourer and to this end Association for Peoples Action is continuing its effort to strengthening such S.H.Gs and Micro finance programme. At present we are trying to peoples participation and a collective approach with other organizations involved in development work. In its strategic planning Association for Peoples Action has evolved a line of approach to strengthen the programme and ensure the participation of local community specially women at every stage of project implementation.